I have become fond of the food of the Dominican Republic. Rather, I shall say, I have grown fond of eating in some places that serve as conduits for food of the Dominican Republic. Both Tropical Taste and Punta Cana exist as clubhouses, daily meeting places, connections to home, where you’d expect to finish your meal with a Fuente. Put it this way, the signed pictures of baseball players on the wall are not those you’d likely recognize; I imagine, instead, they are the ones known mostly to the diners at these places. If this seems cliquey, imposing, do not fear. On my Dominican food runs, I have always faced language barriers, but the good kinds: the ones that make me feel I’m on vacation. Invariably, someone—a server, another diner—steps in, orders for me. Also, I should add, invariably, someone steps in offering me a taste of theirs. The crowd loves this food in all its simplicity, starchiness and mute impact on the palate. The imaginary cigar smoke wafting through the air, mingling with a hint of spice and the succor of fat, puts us all in a good mood. What they feed us, we all like. At lunch at Tropical Taste with some friends, one started about the color of food. She had attended a talk given by Jennifer McLagan, author of the recent book “Bitter,” an iconoclast on all things out there about food. In discussing aversion to bitter, McLagan also talked about how color influences people’s reactions to food. Supposedly, according to her research, people scarfed up steaks until lights went up, revealing blue meat, which caused them to un-scarf. Yes, I said. I know. Color matters. Draw a scale of flavor intensities with the world’s cuisines. You would find Korean, Indian, Thai foods on one end. Track down to Greek, Italian, French, and after a while there would be the hearty fare of Mitteleuropa. Further down at the far other end would be Cuban and Puerto Rican dishes, where there’s at least a heavy hand with garlic, and below that, I know of nothing less intense, Dominican food. How would I describe Dominican food? Yellow. I love kimchi. You cannot make papaya salad spicy enough. I’m happy up there, but I’m just as happy with a big plate of yellow. A typical lunch at Tropical Taste would be chicken marinated in achiote, a spice that does nothing more than dye, alongside a pile of aptly named “yellow rice,” the yellow disturbed only by stray beans of brown. On the weekends, the special is sancocho, a slurry between soup and stew, where the chunks of pork, hen and plantain sit in a comforting state of yellow. 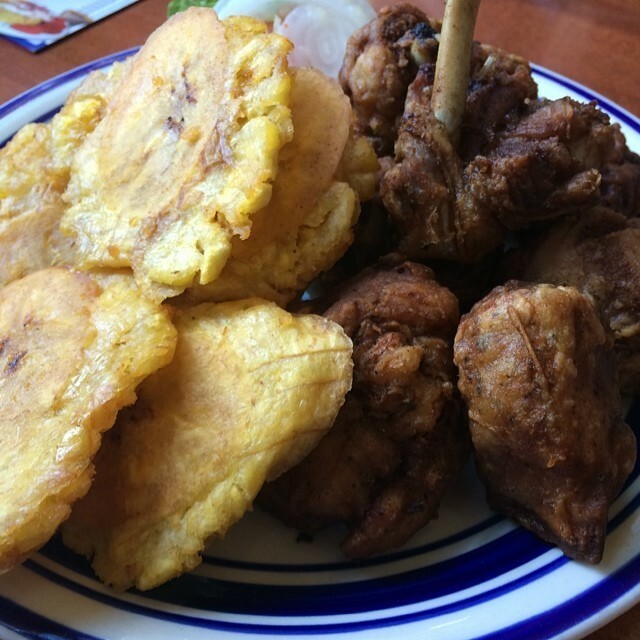 Looking for contrast, an order of fried plantains, tostones, will give you another shade. Of yellow. Punta Cana is on a stretch of Kimball not quite residential or commercial. It’s in the rapidly changing westside of Logan Square. It would not surprise me if it becomes a chef-driven, doughnut-chicken-sandwich-craft-cocktail place soon. Tropical Taste, on North, exists a mile past the gentrification barriers. Punta Cana offers more choices, but I like the cooking more at Tropical Taste. They do better with their yellow. Now, I kid. There is other color at Tropical Taste. You can get a helping of pickled onions, a soft purple with your dishes. There is a green sauce, more of cilantro than chili, that you can squeeze over and around your food. There is even the choice of arroz blanco, white rice, with your dishes. The goat, beef and oxtail stews are not yellow. They are distinctly burnt umber on the flavor wheel. If that scares you, there is mangu, a mash of plantains all plain and heavy, a darker kind of yellow. Don’t be fooled into ordering this as a side just because the menu says so. Order the mangu if you think you might be fasting over the next few days. Do not walk into Tropical Taste or Punta Cana expecting everything on the menu to be available. Punta Cana’s menu lists a bunch of daily choices, of which a few might actually be ready. 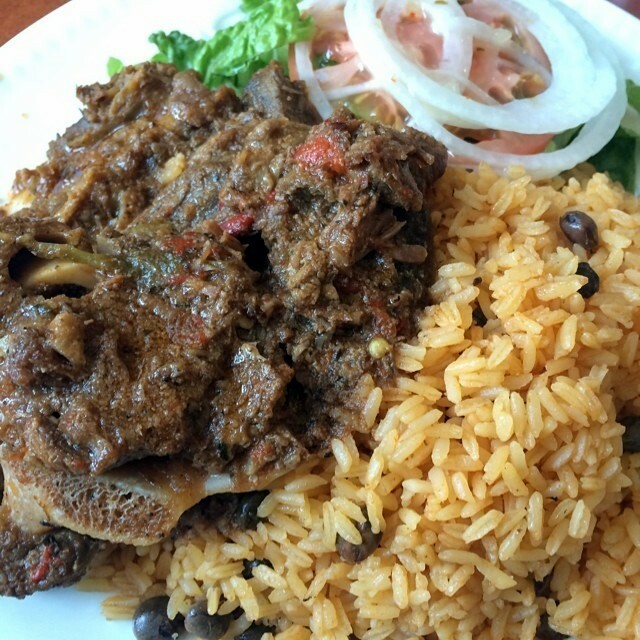 At Tropical Taste, ask about the day’s long-cooked dish. You will always find chicken. Punta Cana fries crisp chunks, earning the sometimes-title chicharrones de pollo. Tropical Taste does them on a rotisserie. As the chefs taking over the neighborhoods know, these kinds of foods satisfy. On Sunday, you go for the sancocho. 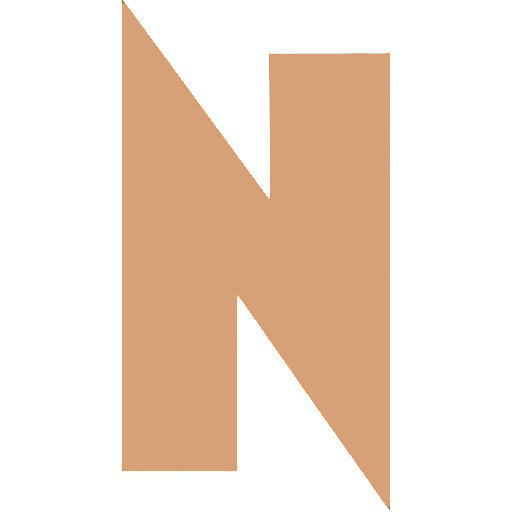 Can the next new-new thing be something so plain it’s good? Will you clamor for dishes best described by their hue? Open these doors into a tropical world of famous ballplayers you’ve never heard. You might grow fond.